Cookies Kids is the largest chain of children's department stores in the United States, with 7 branches in New York City. 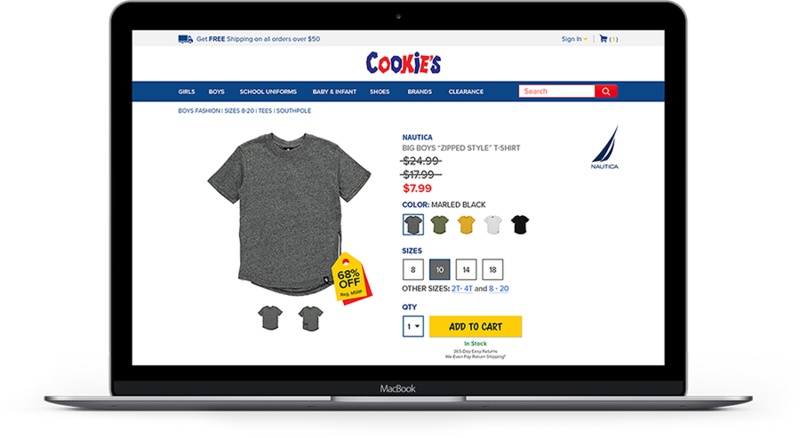 Cookies sells heavily discounted brand-name children's clothing. They enjoy regional renown for being a place you can outfit your child in style, on a budget. Cookies Kids is known for being a place where a family can outfit their children in style for a season for $100. 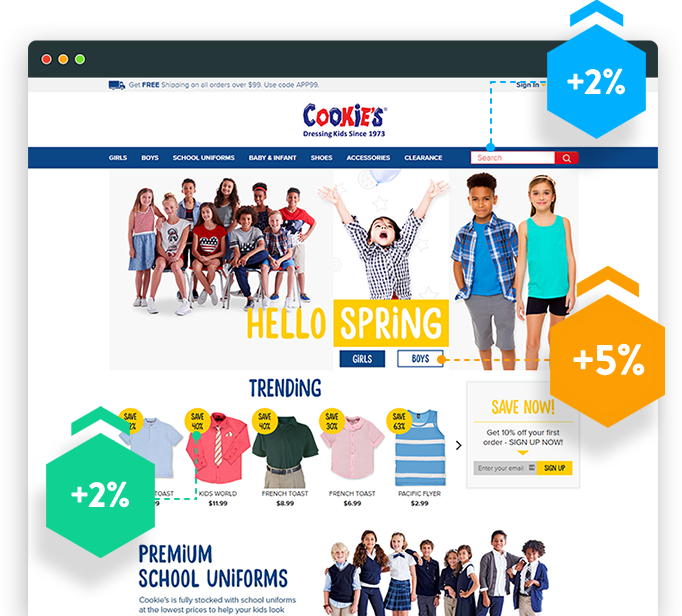 After success from a small scale CRO pilot, Cookies invited Spiralyze to lead a complete redesign of their site. Great prices on quality children's clothing draws crowds to Cookies Kids department stores. 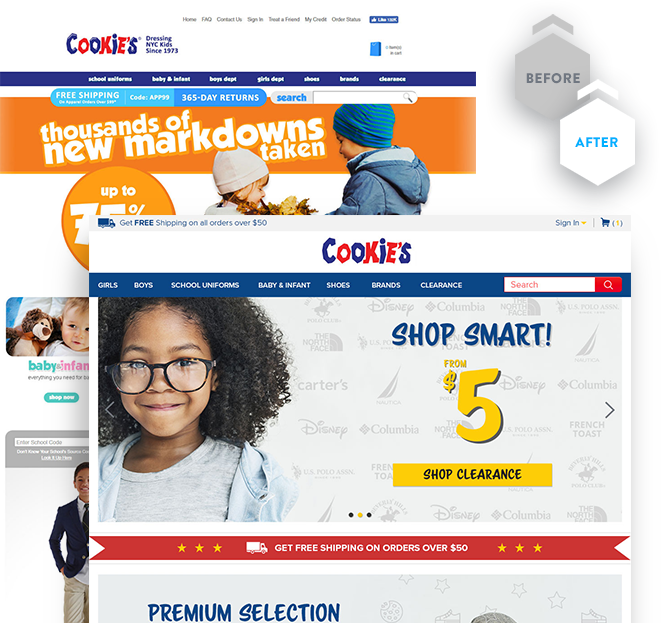 But our research showed that online, our low prices were sending negative quality signals to visitors, particularly those new to the Cookies brand. Introducing brand logos to product pages tapped into quality associations that customers have already forged with our brands. Adding prozac to the Add To Cart button, highlighting the iconic Cookies 365-Day Returns guarantee, reduced anxiety for customers new to Cookies. Discovering bargains is a core part of the Cookies instore experience. Shoppers wander isles, rifling through pricetags and discovering bargains. Carrying over that experience to the online experience, we created more visual pricetags and discounting leading to increase the perceived value. Cookies experienced double-digit increases in conversion across the funnel.